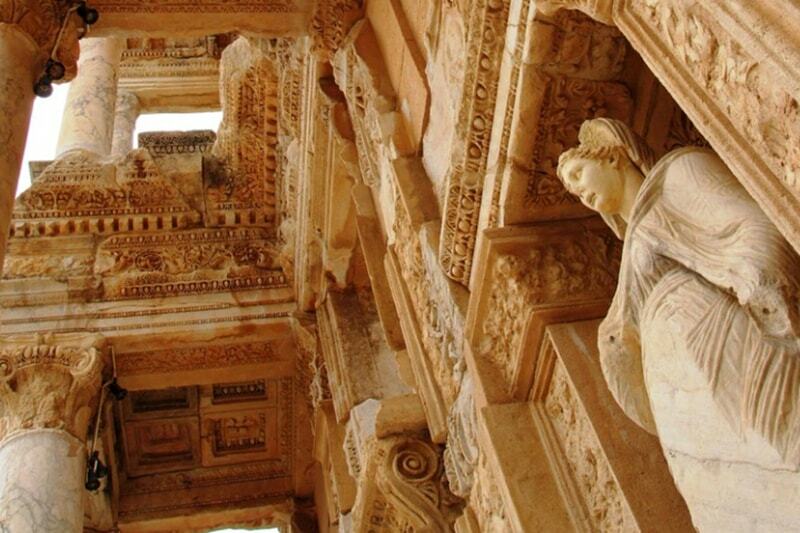 Discover Ephesus with the local guides of Celsus Travel. 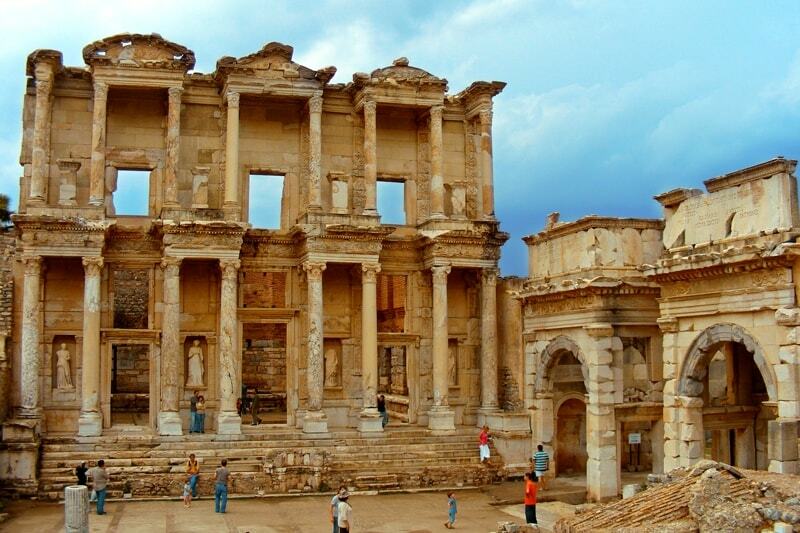 EPHESUS : a gift of civilization !!! If you will arrive the Kusadasi by a cruise ship or ferry from Greek Isles, please check our Ephesus Tours for your experience with the best Ephesus guides. If you are creating your own Turkey travel and need a daily Ephesus tour from Izmir airport or your hotel in Izmir, please check our Ephesus Tours for your experience with the best Ephesus guides. The prices are included roundtrip airport transfers in Izmir airport. 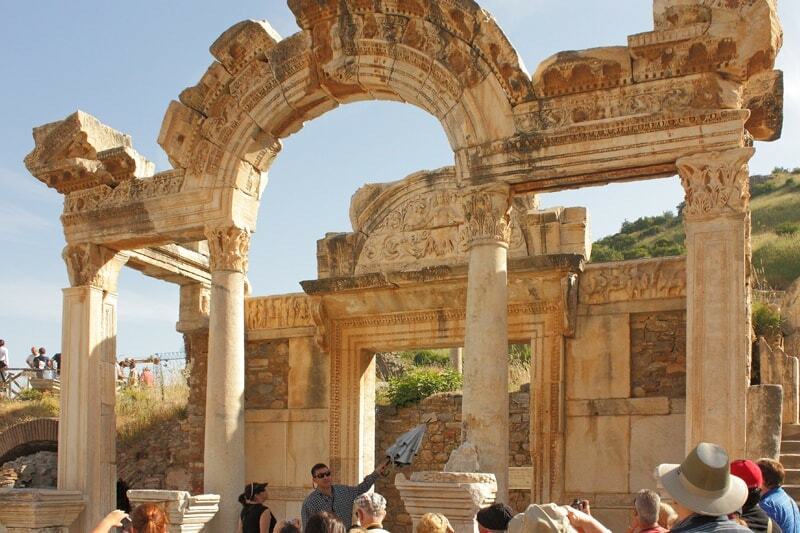 If you would like do a private Ephesus tour from your hotel in Kusadasi-Selcuk-Sirince, please check our Ephesus Tours for your experience with the best Ephesus guides. 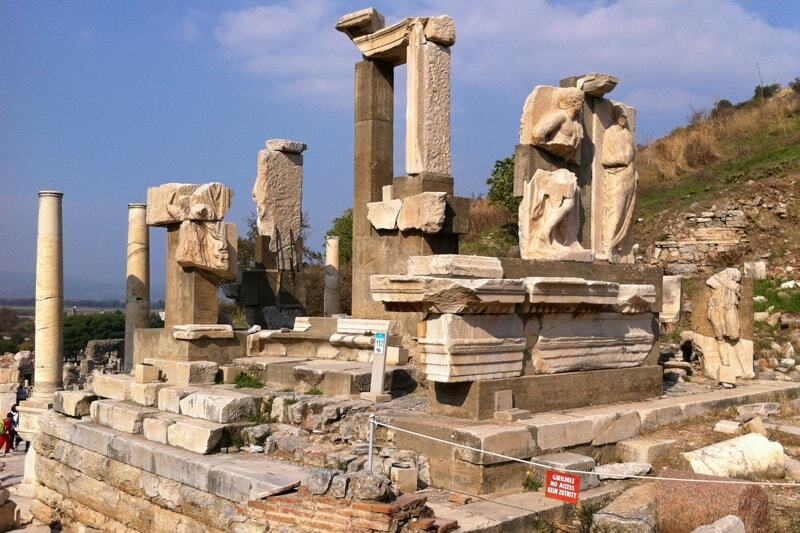 We organise real private tours to Ephesus for you and your special parties. Daily departures for private Ephesus tours from Istanbul. Our expert, licensed tour guides meet you at Izmir Airport for your private tours from Istanbul by plane. The domestic flight tickets (Istanbul to Izmir to Istanbul) and all airport transfers (in Istanbul and Izmir) are included. Me and my wife booked a private tour to Sirince village including Ephesus ruins. Absolutely stunning tiny town. A wonderful stroll along the narrow cobble streets with shops to just nose around in. Great wine tasting shops everywhere serving their own home made brand. Take your time soaking in the peaceful environment with a Turkish coffee. I love it! Sami was the best,even assisted my mom walking the steps Loved authentic Turkish food!!!! Enjoyed our private fashion show Unforgettable trip!!! We had a very knowledgeable guide. His English was excellent. Our booking experience was also great. We had many add ons as people requested to join our tour and they did this with no problem. It was a shore excursion from a cruise We were also using the co for a tour in Istanbul but our ship did not stop due to trouble in the area. A quick and easy refund was made. I wish we did a little more on the main street of Ephesus though. Once we hit the Terrace Houses we turned in and then when we came out we were at the bottom of the street and moved on. I wish we would have backed tracked up to the entrance of the Terrace Houses after going farther down the street. I would use them again.